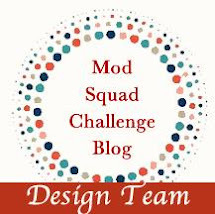 My friend, and super crafter, Lisa Babitz is the host at Mod Squad challenge this week. I am so happy that I found some time to enter this week. She challenged us to us the negative of a die. I had this one on my cutting table for while and decided to make a card around it today. I dry embossed only part of the card stock with a folder that had leaves. Then I partially die cut the stitched oval. I really wish that I could remember where I saw this. It is all one layer and would come in handy for cards that need to be mailed. Behind the oval, I stamped some hens and chicks from the stamp set Sassy Succulents by Power Poppy. I cut out one of the plants to paste over a mistake. Lol The hens and chicks are colored with some copic markers and clear Wink of Stella. The butterfly is from GKD set Spring Mix and is colored with Gold Wink of Stella. The base is GKD kraft cardstock and the top layer, is Jelly Bean Green. I don't think this is a attractive card, just different. Thanks for stopping by to see what I have been making. I really appreciated the comments that you may care to leave. The fussy cutting tips that were shared by Ashley were very helpful in making this card. I just used her technique on the HAPPY and felt that it really works for me. If you want to see how she did it, just click on the tittle above. 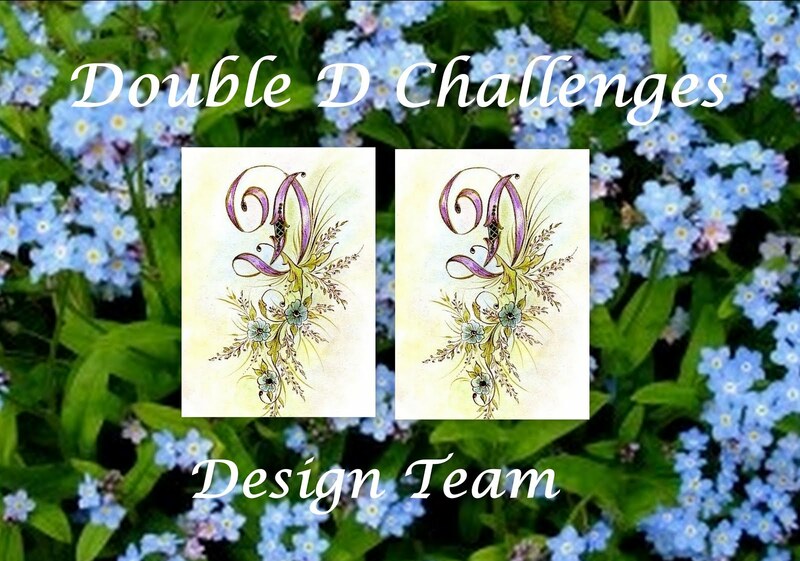 Here is the card that I made for this challenge. I am using the new camera that I recently received. It was one that my daughter had, but since she upgraded, I was able to use her old one. I am just doing the basics with it so far, but I feel that I am getting a much better picture. The stamp is Penny Black, Poppies and it is stamped on Paper Trey Ink Card stock called Soft Stone. Flowers are colored in Copic markers, a touch of black stickles in the middle. I used a border die from SU to frame the banner of Poppies. Then I added the sentiment from PTI, Wet Paint stamp, which I fussy cut and applied black Wink of Stella. Love that shine, but you really only need to buy clear. It works the same. This card is way more cheery that the weather that we are having. It is so unseasonably cold and we have the promise of more rain. Thanks for stopping by and if you care to leave a comment , I really appreciate them. Love them! 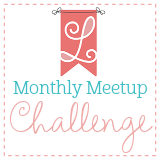 Just a quick post for this challenge. What a wonderful chance to win some Winnie & Walter stamps. Lots of time to enter. Thanks so much for stopping by to see what I have been doing. I love the comments and really appreciate that you take time to make them. 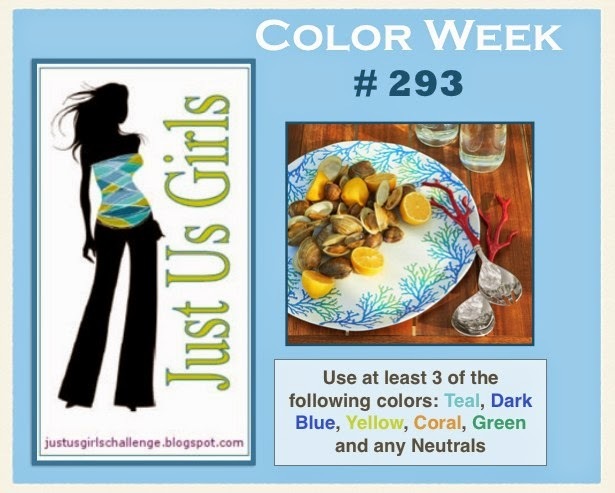 It is color week at JUGS and I have picked the spring colors of Teal, Coral and Green. For a bonus: For the bonus entry you need to use one of Melanie's stamps not just any StampTV stamp:-) Remember you can use any vendors image to qualify for the prize. When looking through my stamp sets, I noticed that these two stamp sets by Melanie had very similar flowers. I decided to use them. Tomato Soup ink from GKD and then clear embossing powder on top on the vellum. Bumble Bee from my stash. It is another rainy foggy day today. Good day to craft, as if I need an excuse! Thanks for stopping by and leaving your comments. I do appreciate them. Today predicts to be gorgeous outside. We had some rain last night and everything is very green and the sun is out already. Birds are chirping and gathering on the bird feeder. We have put up an addition one to feed all of them. Later today, I am picking up the grand kids, Jack and Eliza from an early release from school and the day will be ours to play and have fun. That is what it is all about! 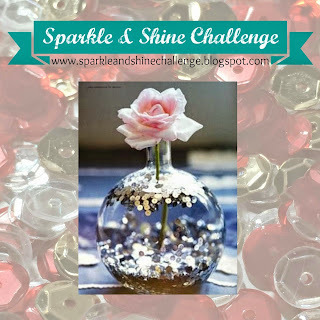 My Favorite Things Challenge. One card for both the Sketch and Color Challenge. I have purchased a few of their stamp sets with some great offers recently. I have a lot to choose from. I used GKD card stock for the base in Kraft, and a layer of design paper from American Crafts. The stamp is Because Your Special and I used the image and the sentiment. Changed the "Happy" to "ZIP" to fit the card. 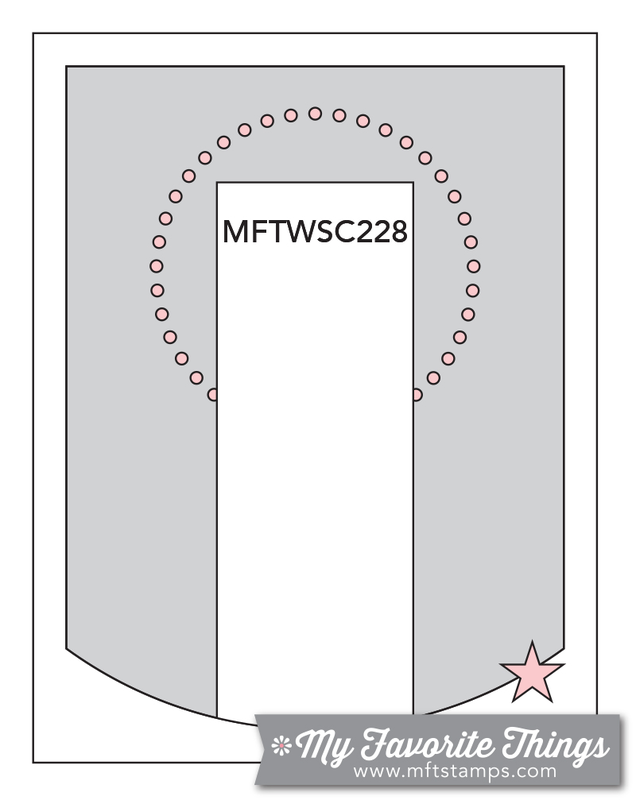 Dies are MFT, Zippered, Crossed Stitch Circle, and rectangle die by Spellbinder. I stamped the design on the circle with Distressed inks using Picked Raspberry and Crushed Olive, and Wplus 9 stamp called More Fresh Cuts. Silver foil paper for the teeth on the zipper. I hope that your weekend is great! Mine is starting now! This is the first time that I am entering this challenge and guess what? Anything goes! I have a lot of Lil Inker dies and that is what I used to make this simple card. I started out with a base of Pink card stock and used my Stitched rectangle die, then layer of design paper and the smaller size stitched rectangle die. 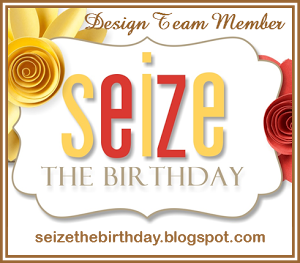 The sentiment is die cut with the Tag die and the balloons are fussy cut. I sprinkled some sequins from Pretty Pink Posh and colored the balloons with clear Wink of Stella pen. This card was very easy, just using the dies and paper from American -Crafts, The color of Memories. This is the time of year when everything is green and the spring flowers start to bloom. I won this stamp set from Power Poppy recently and already I have used it quite a few times. Here, I was practicing my watercolors and then put it aside to used sometime. Well, it fits perfectly with these challenges. I cut it out and made this card. I started out doing the faux linen look. This was the first time doing that, after watching these instructions HERE. Then I sponged Brushed Corduroy Distress ink over and stamped script with Memento Rich Cocoa. There is a layer of patterned paper, also sponged with brushed corduroy, and stamped with copper ink. I fussy cut the image after doing the water color on it and then added a couple of dies and other elements. Paper is GKD heavy base in Ivory and Lilac. Here is a close up of the sentiment that is stamped on some parchment looking paper with flecks of gold in it. I am entering this card in these challenges this week. Power and Spark Cut it Out! Thanks so much for stopping by, I really enjoy your comments. Here I am again with the second card that I water colored yesterday. Just love doing that technique. Since I had projects on my desk already started, I got to enter this one twice. Thanks, so much! I enjoy these challenges as you well know. It keeps me out of trouble, and well supplied with cards for friends and family. 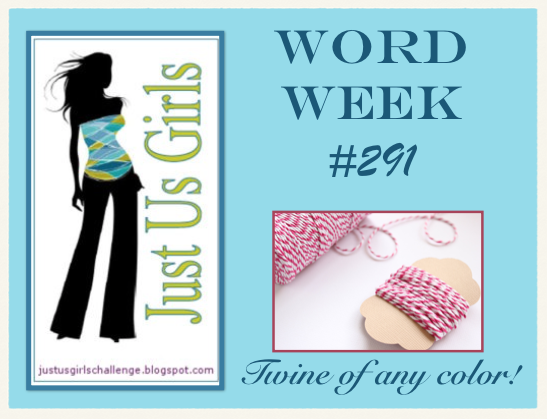 The challenge this week, which is hosted my friend Judy Woodland, is watercolor stamping! Yipee, my favorite type of card making. As a matter of fact, I was working on one yesterday and finished it up today. I also have another, just completed card, done with a watercolor that I did last week. Or was that two weeks ago? Any who, here is the first one. The stamp set used is Clearly Besotted, Remember. I stamped it with Distressed Inks in Barn Door, Frayed Burlap, and Peeled Paint. Then applied my water brush to get the watercolor effect. I sponged with Pumice Stone and stamped the sentiment in Black. Sorry, I don't remember where I got the sentiment. Three black rhinestones from my stash. Paper is GKD white, MFT, Steel Grey and Tim Holtz watercolor paper. Thanks, as always for stopping in, I love having your comments and visits. 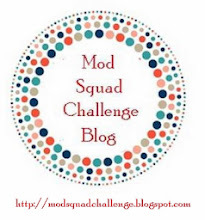 I am entering this card in the Mod Squad Challenge. I made a card for this challenge and used all PTI supplies. I first cut a cover plate from PTI card stock using the Stitched Die, and then stamped the Flowers from Quilted Spring stamps set. Using the Pink, Blue and Gold gelatos I rubbed over the stamped images just like in the tutorial HERE. I also cut the word HUGS with the die Big Hugs and cut the letters apart and glued them on the card. Added some twine in a natural color and some brads from my stash. Last, the small butterfly with glitter on the top. PTI Make it Monday #211 Using Gelatos with stamps. Thanks for stopping in and leaving a comment. I do appreciate them.